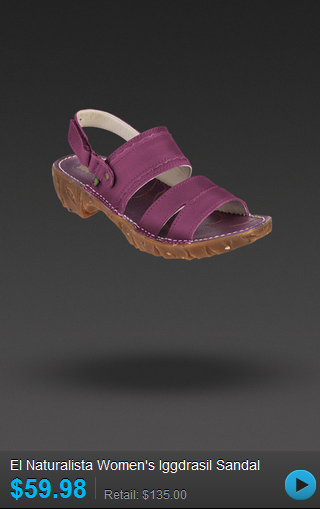 Beth Ann & Jessica's Helpful Savings: The Clymb: El Naturalista Women's Iggdrasil Sandal $59.98, 66% savings! The Clymb: El Naturalista Women's Iggdrasil Sandal $59.98, 66% savings! El Naturalista Women's Iggdrasil Sandal $59.98, retail is $135 - from The Clymb. Go here to see all of the items that The Clymb has to offer for your outdoorsy lifestyle! Free People up to 80% off at 6pm! Amazon: Up to $75 rebate on Dewalt tools! Zulily: Barbie up to 65% off through 8/18! Columbia: Up to 75% off from 6pm.com! Wii Play - game only $6.45! YMI: Up to 80% off clearance! Dickies: 20% off your entire order! Freebies and cheap Gevalia coffee from Walmart! 1SaleADay: 2 pack window panels just $4.99!